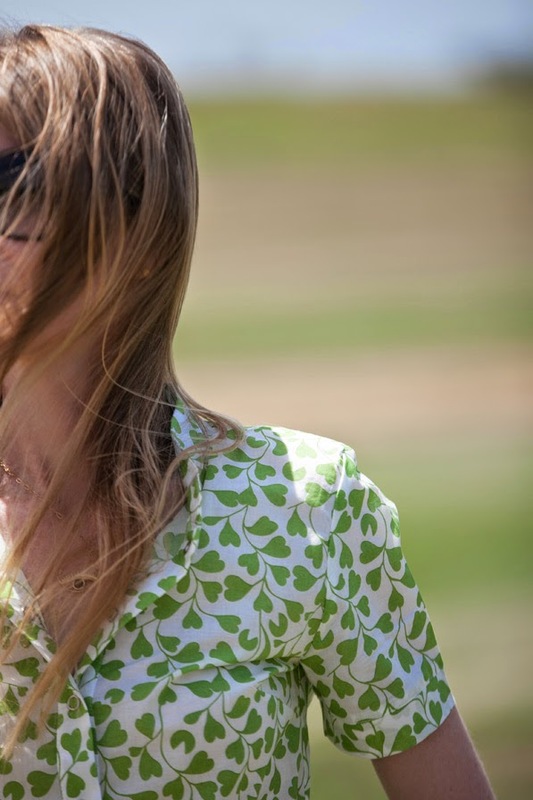 A new blouse from the Summer 2014 collection that has just arrived at the boutique! 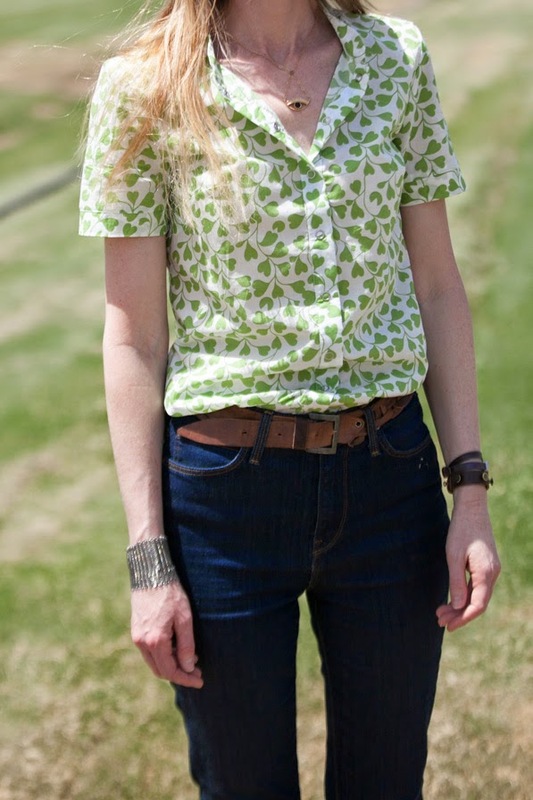 This is a snap-button blouse, similar to the white blouse presented a few posts ago. It is made of a fine thin cotton fabric, with a fresh green heart-shaped leaves print. The design is comfortable and flattering, so why not enjoy it in a variety of fabrics?